Just like humans who constantly need to interact with people around them, dogs too are happy to socialize with other pooches. They learn from each other and often love playing games together. A dog bonding with another one is not unusual but can surely be a magical sight. 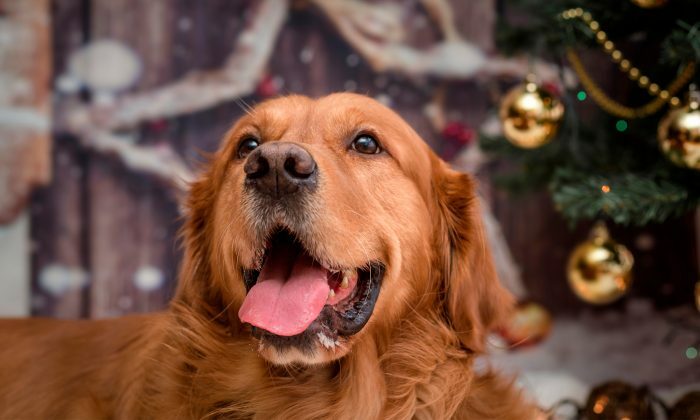 A similar moment happened when Anisa Spagnuolo, from Pittsfield, Massachusetts, made the decision to add another golden retriever to her family of two goldens, named Jack and Cooper. She brought a puppy named Murphy into the fold. Cooper, a 1-year-old, was a stranger to new puppies, but Murphy, at just 7 weeks of age, managed to win over Cooper’s heart in an instant. “Cooper has never had a puppy in the house before. I was worried he was going to be mad and very jealous,” Anisa said, according to DailyMail. In a video, Anisa is seen sitting on a couch with Murphy on her lap in a bag waiting for Cooper to react to this new addition in the household. Cooper took her by surprise and all her fears were allayed about any animosity he might have towards the tiny bundle of fur. He approached Murphy with all enthusiasm and immediately went nose to nose with him. Murphy, too, reciprocated the same feeling, as he was eager to get to know Cooper. Meanwhile, the precious moment between the two golden retrievers didn’t just stop there. Anisa started to share their amazing journey on social media. You’ll be surprised to spot all sorts of doggy costumes out there, from the sublime to the ridiculous, created just to entertain us all. Murphy and Cooper also have over 70,000 followers on Instagram, and when you look at the photos, it’s easy to see why. Nicknamed “Coop and Murph,” they strike all manner of cute poses, and their special outfits would make most other dogs a tiny bit jealous. The duo is surely photogenic. They are also often spotted frolicking around the city from soccer fields to basking under the sun. They also celebrate birthdays with confetti and cake. With daily doses of the adorable dogs, Anisa is proud of the way Cooper has taken Murphy under his wing, or maybe his paw. “Since the moment Murphy came home he has been the best big pup brother in the world,” she said. Social media users can’t seem to get enough of these cute pooches, and they really love them. On Jan. 6, Cooper was taken out of the critical care unit after being really sick. Anisa didn’t post any updates for a month on the account. During this period, she took time to “really enjoy every moment with these boys after that awful scare.” Many people reached out to Anisa in order to know more about the pooches. No doubt it’s really hard to ignore this duo. Take a look at their first meeting in the video. You’ll be charmed by their cute encounter. That’s why I love Labrador Retriever!